Former United Auto Worker Vice President Norwood Jewell resigned as a Democratic superdelegate following inquiries from the Washington Free Beacon. 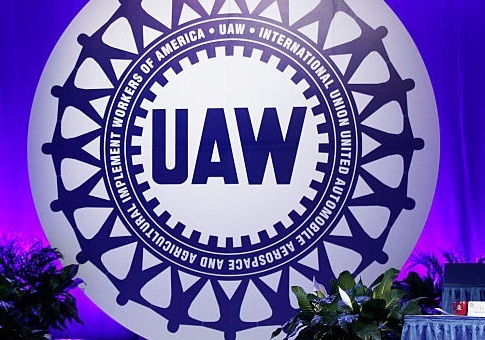 Jewell, the former lead UAW negotiator with Chrysler-Fiat, pled guilty on April 2 to corruption charges connected to a bribery scandal that has rocked one of America's most influential labor unions. Despite his admission of guilt, he retained his position as a DNC official for more than a week before submitting his resignation, according to his lawyer, Michael Manley. "Due to Mr. Jewell's retirement from the UAW and his recent plea in Federal court, he thought it was in the best interest of the Party to offer his resignation," Manley told the Washington Free Beacon. Jewell's resignation did not satisfy some Democrats. Genesee County Clerk-Register John Gleason, a former UAW member and Democrat, said that the party should have taken action sooner. He pointed to the fact that Jewell was still listed as a "Party Leader" on the website before quietly scrubbing his name on Monday. He took aim at the DNC for refusing to address the fact that he was one of Michigan's 17 superdelegates in 2016 and remained one leading up to the 2020 primary campaign. "National Democrats illuminate their abdication of standards by allowing publicly shamed, convicted felon, superdelegate Norwood Jewell to personally tender his resignation," Gleason said. "Ethical, principled organizations would fire or remove a convicted felon while adamantly denying a resignation." Neither the DNC, nor the Michigan Democratic Party have responded to repeated requests for comment about Jewell's conviction or resignation. Manley, Jewell's attorney, said that his client tendered his resignation on his own accord and was not contacted by party officials beforehand. He did so to spare the party embarrassment. "He was not asked to resign as a superdelegate but did so in order to avoid distraction from the important issues facing our Country in the upcoming election," Manley said. Federal investigators had accused Jewell and several other UAW executives of accepting millions of dollars in gifts, trips, and Super Bowl tickets from company officials even as they were supposed to be negotiating for dues paying members. Prior to his political career, Gleason joined the UAW after spending several decades as member of the Carpenters Union. His father was a leading UAW figure as the union gained prominence. He is now spearheading a campaign to erase Jewell's name from monuments to the labor movement and the party. "Folks like my grandfather sacrificed, they'd never consider taking a bribe," Gleason said. "This is a time to show your strength as a party and stand up and show some integrity." Republican leaders echoed Gleason's criticism. State GOP spokesman Tony Zammit said the scandal demonstrates the corrupt nature of the Democratic Party in Michigan. "Norwood Jewell is an admitted criminal who violated federal law," he said. "The fact he was still a Democrat superdelegate after his confession, and was allowed to resign rather than being fired, shows corruption is still alive within the Michigan Democrat Party." RNC deputy press secretary Michael Joyce said it may be too late to litigate the handling of Jewell's resignation, but said Democrats owe their members an explanation. He said DNC leaders need to speak out against corruption in every form, rather than try to ignore the issue to save face. "The DNC and Michigan Democrat Party should condemn corruption within their own ranks before they launch any more baseless attacks against President Trump and Republicans," Joyce said. "Their silence about Mr. Jewell underscores their hypocrisy on this issue." This entry was posted in Politics and tagged Democratic Party, UAW, Unions. Bookmark the permalink.